Flash Boys. Concerned that Michael Lewis’ new book on high-frequency trading might be a little too inside baseball, the purview of market watchers and stock pickers? Think again. 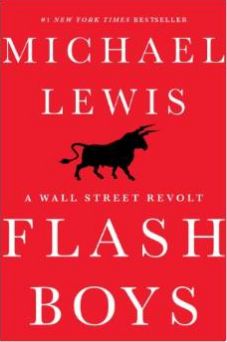 Flash Boys, like Lewis’ MoneyBall and The Big Short, provides a blueprint for how any PR professional can improve their ability to enthrall, persuade, and convince. Lewis’ uncanny ability to simplify the complex and carry a narrative through facts and action provides a blueprint for clear, compelling writing. His troubling account is a rich mix of how technology, cunning, and opacity conspire to rig equity markets, denying investors their just returns while enriching parasites who add nothing to the economics or liquidity of the market. Sound boring? Lewis brings it all to life through the intrigue of why someone would invest $300 million to tunnel under the Susquehanna River or pay millions to move their server across the floor of a Northern New Jersey data warehouse. I particularly loved the book’s tie back at the end where he paints a picture that every Penn State alumnae no doubt will appreciate. Think Like a Freak. If Steven D. Levitt and Stephen J. Dubner’s earlier Freakonomics failed on any level it was in its lack of how-to advice. While their economic findings were insightful, their earlier work offered little that the reader could put into action. 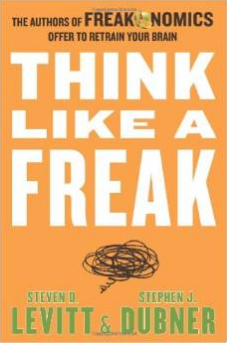 Think Like a Freak aims to correct that oversight by offering an assortment of self-help suggestions. For instance, know someone suffering from Celiac’s disease? They recommend a poop transplant to reseed your gut with healthy micro-organisms, a simple yet long-overlooked near cure. Want to check on someone’s thoroughness? Use David Lee Roth’s solution of banning all brown M&Ms from the band’s dressing room. Ever wonder who would ever fall for one of those poorly written Nigerian scams? They are written poorly to weed out a level of intelligence that would eventually sniff out the scam and waste the scamster’s time. As always, Levitt and Dubner’s storytelling is magnificent, a skill I wish more of us in PR had at our keyboard-tapping fingertips. No Place to Hide and The Snowden Files. 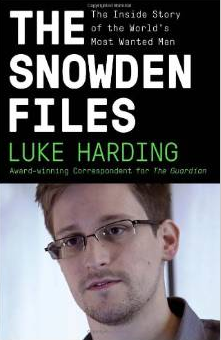 I am going to list both of these books together, because a great read requires the co-mingling of Glenn Greenwald’s firsthand account of breaking the Snowden story with the work of his Guardian colleague, Luke Harding. It seems I might be in the minority about Greenwald’s No Place to Hide. Unlike many reviewers, I found it shallow in the very parts that intrigued me most. 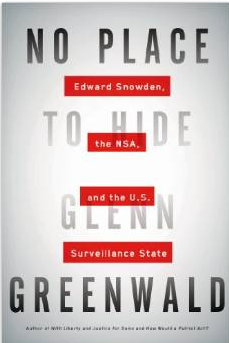 Where Greenwald fails is in describing Snowden, who he is and what created him. communication, and its implications in our lives, our work, and our freedoms. So there you have it. Four for the summer. Enjoy!